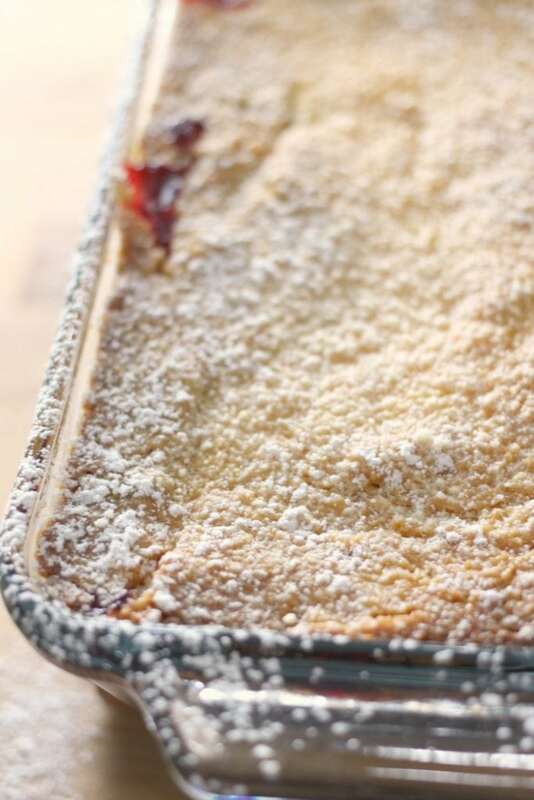 Our Raspberry Cobbler is made with only three ingredients and tastes amazing. 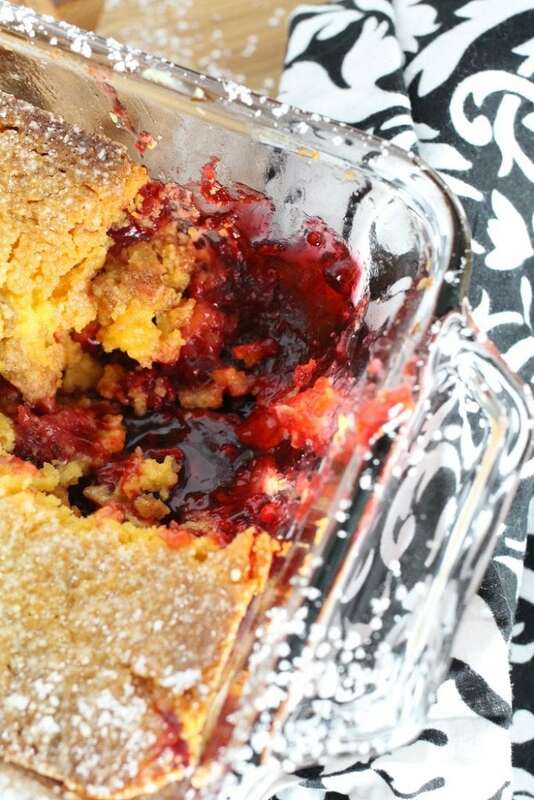 It’s the perfect easy dessert recipe! 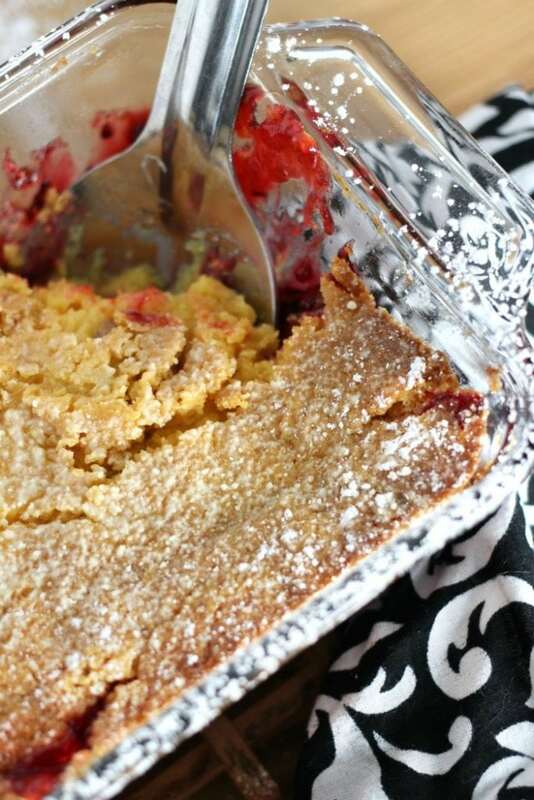 Raspberry Cobbler is about to be your new favorite thing! I have a deep and biding love for raspberries. Not raspberry ‘flavored’ things, those are gross. 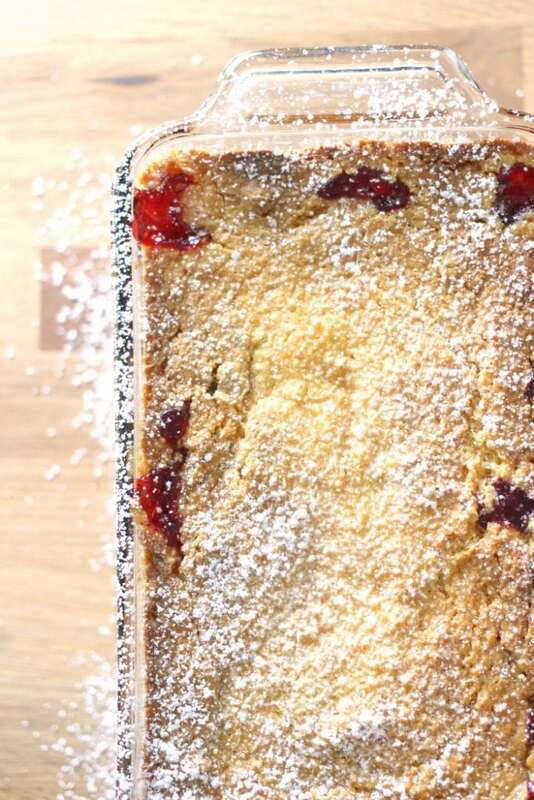 But actual real live raspberries and the recipes you make with them. 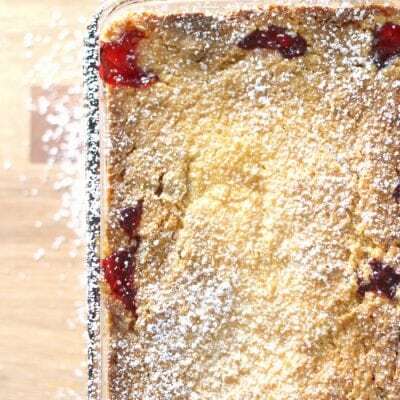 You know, like this Raspberry Cobbler. Which, by the by is unbelievably delicious. 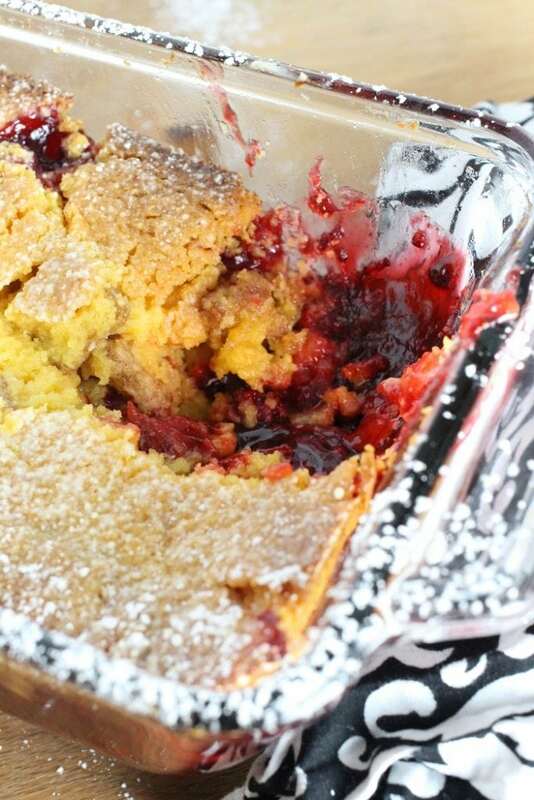 This Raspberry Cobbler Recipe was originally a partnered post with Nature Made – we only work with brands we love! All content belongs to Mama Loves Food. 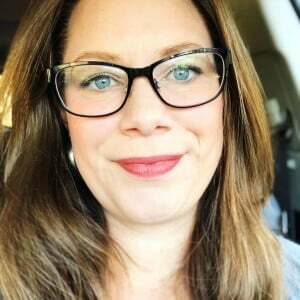 Have I piqued your interest? 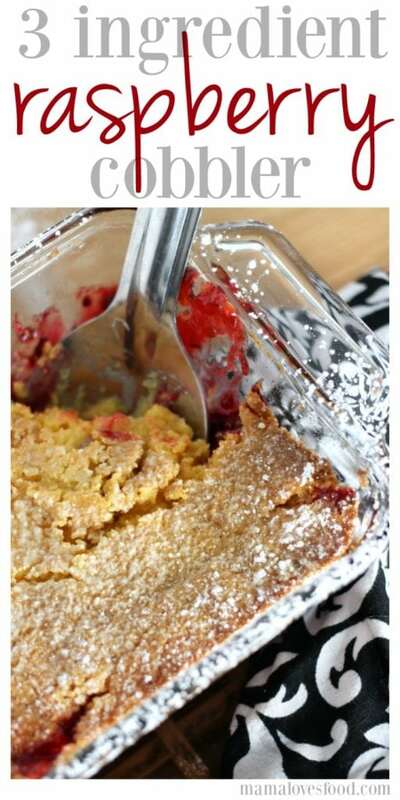 I mean, three ingredient cobbler is intriguing enough. But how is it done?! Ooh la la. Look at all that raspberry. And golden buttery crust. Mmmmmm. 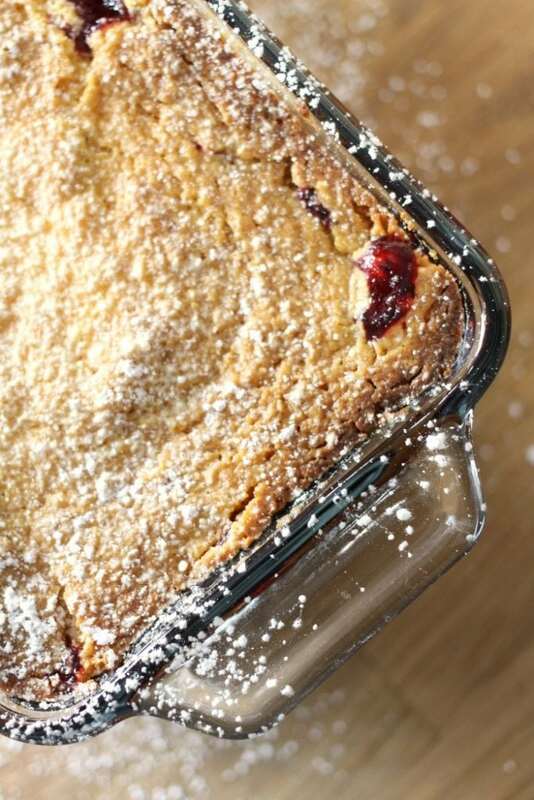 Pyrex loaf pan – my favorite loaf pans, I love that they’re glass and you can see how well the sides and bottom are cooking. 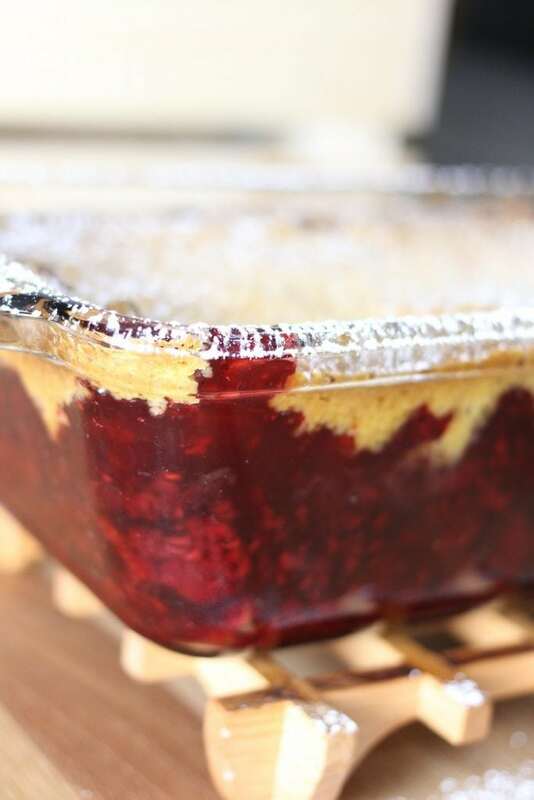 Pour pie filling into a glass loaf dish and spread evenly. In a bowl combine melted butter and cake mix. Spread cake mix mixture over pie filling. Bake at 350 degrees for approximately 45 minutes until the topping becomes a nice golden brown crust. What's a glass "loaf dish" ? Size ? Hi Winnie! The internet tells me a standard loaf pan is 8 1/2 x 4 1/2 inches. Hope that helps!